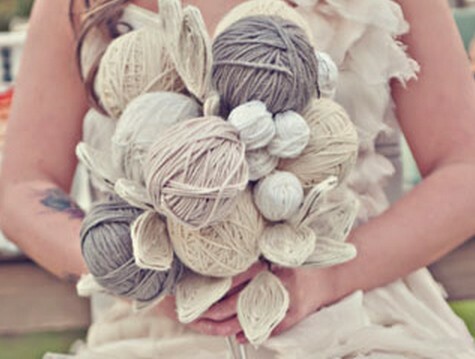 Make yarn balls and yarn leaves and turn them into a bouquet! See more photos from this photo shoot on the source. See this idea using vibrant yarn colors. See a tutorial on how to make yarn balls. See a tutorial on how to make a yarn leaf.